If you plan to spend some time on the boat in the Mediterranean Biograd is a perfect destination, both for sailing and sightseeing. It is a lovely town in the north Dalmatia, which is a centre of the whole Riviera consisting of small coastal towns. Biograd has a very long history and it has already started to be popular among tourists in the early 20th century. Today it is still extremely beautiful and every tourist will find Biograd very interesting. The climate in Biograd has characteristics of the Mediterranean climate – the summers are warm and dry, while winters are usually mild. 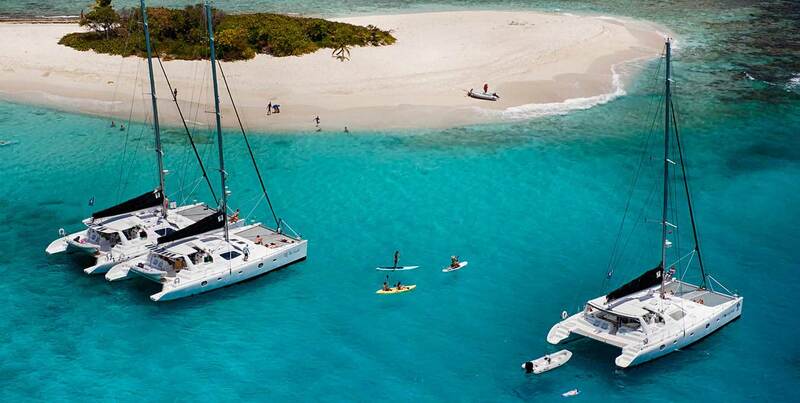 That makes the perfect conditions not only for sailing but also for swimming, sunbathing and practicing water sports. Biograd is an ideal destination for anyone interested in nautical tourism, as it is located in the most indented area on the Croatian Adriatic coast. The warmest month of the year in that area is July. The sun shines for 10 to 12 hours a day and at that time you may expect an average temperature reaching 24°C. This is also the height of the tourist season and the town prepares lots of attractions for the visitors. Every marina is full of excited sailors who enjoy the time on that wonderful sea. And in the meantime they also discover the town and nearby spots. Biograd will certainly amuse you from the moment you arrive in this incredible town. It might be small but it has so much to offer! All you need is time and you can discover the visible evidence of the prehistoric times or some breathtaking natural wonders of this area. And when you are done sightseeing you can take part in cultural, sport or entertainment events prepared specially for tourists. The history of Biograd is pretty interesting. In the XI century it was the seat of Croatian kings and in the XVII century as a result of wars it was completely destroyed. You should definitely see the only preserved remaining of the basilica with three bell-towers, called St. John’s monastery. Also the parish church of St. Anastasia is worth visiting, as you may admire the 18th century baroque altar made of gold-plated wood. Those interested in the history should also visit prehistoric sites and the town museum that has a great archaeological collection. In the close neighbourhood there are also some extraordinary national parks that are definitely a must-see for any tourist spending time in this area. There is a national park on the see – the Kornati islands, the mountain called the Velebit Paklenica and river – the Krka waterfalls. You should also visit nature parks Telascica and Lake Vrana. However, that is not all, as during the boat vacations you have an opportunity to explore some of the most amazing places in Croatia. There are many picturesque bays, islands, islets and beautiful beaches that are waiting for sailors. And those who want to try some water sports will not be disappointed as Biograd has perfect spots to go surfing, scuba diving, water skiing or boat peddling. Not to mention many tournaments and competitions the town is organizing.